WIth each new year we see more and more great games. We cannot wait to play the newest things that come out, but a few always stand out above the rest. Here are the games that we cannot wait to play. Of these one stands above the rest. 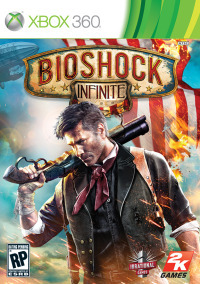 Bioshock Infinite is set to come out on March 26, 2013. Given how good the original BioShock, and that the same team is making this one, people cannot wait to play this game.